No racing on Saturday, the final day of the Christmas Race series at Palamos, Spain. A sunny day, blue sky but no wind for the last day of racing in Palamós. Thus results are as recorded Friday. It was an early Christmas for the British competitors in the Laser event where Joseph Mullan took the overall victory ahead of Jordan Giles in second place and Ben Flower in third, for an all British podium. 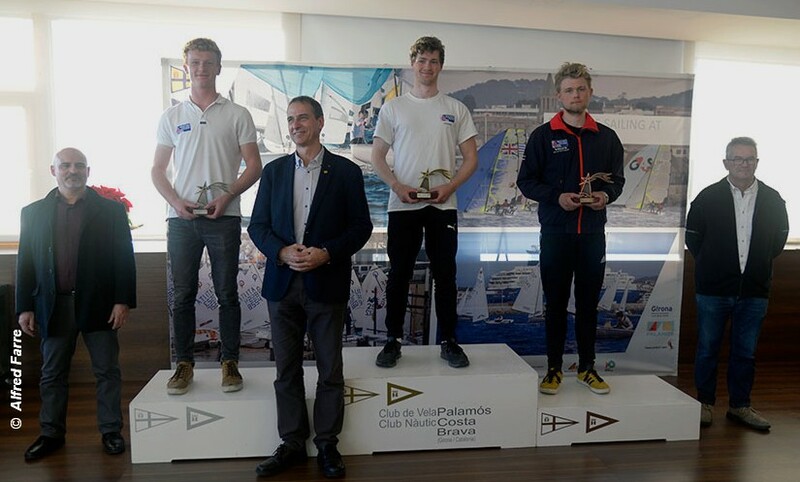 In the men’s Radial fleet the winner was Pirmin Sablatnig of Austria, with Britain’s Arthur Fry in second place and Nick Welbourn in third place. In the women’s Radial fleet, Elena Vorrobeva of Croatia was the overall winner with Britain’s Clementine Thompson taking second and Matilda Nicholls in third place. The Finn event was an overall win for Milan Vujasinovic of Croatia ahead of Alejandro Muscat of Spain and Joan Cardona of Spain in third place. Best placed Brit was Britain’s Callum Dixon in sixth place. In the mixed 470 Matteo Capurro and Matteo Puppo of Italy the title and were declared overall winners of the 2018 Christmas Race. Second were Alexandre Demange and Paco Lepoutre of France and third are Diogo and Pedro Costa of Portugal. Britain’s Arran Holman and Crew were seventh, Ben Whaley and Marcus Tressler ninth. In the 420 fleet, winners were Sophie Steinlein and Jonas Royla of Germany ahead of Demetrio Sposato and Gabriele Centrone of Italy, with third Riccardo Sepe and Ettore Cirillo of Italy. Best placed British competitors were Haydn Sewell and William Heathcote in 10th place.